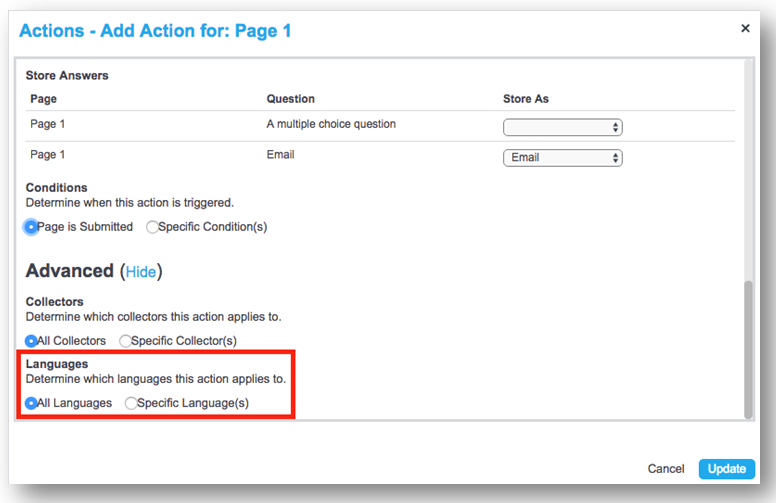 If you have additional languages added to your Survey via its settings, you can now trigger actions based on which language is being viewed by the responder. Once you have set up your additional languages and saved your Survey, navigate to and click Actions. 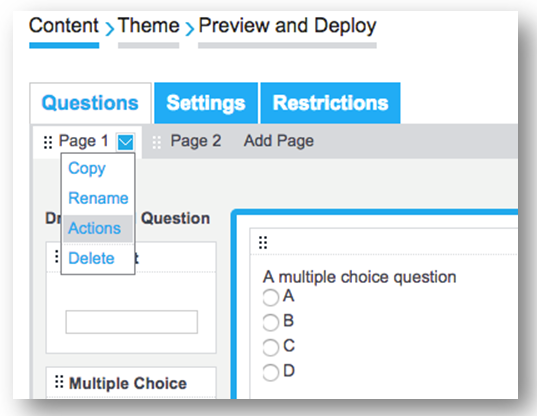 Once you have selected your action, there will be an option to select which language version the action applies to under the Advanced options at the bottom of the page.